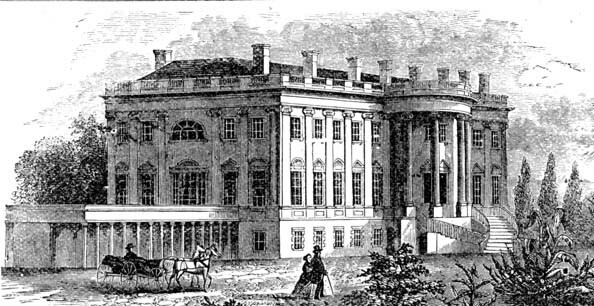 English: mid 19th century engraving showing the White House at Washington, DC as seen from the South-West. Quelle Übertragen aus de.wikipedia nach Commons. ; description page used to be here. That, in turn, was from "der englischen Wikipedia", more specifically at en:Image:WhiteHouseEngraving.JPG, uploaded by Infrogmation 20:40, 7 November 2002. Infrogmation scanned it from a 19th century US cyclopedia in his own collection.